Make the thumbs peel off vertically from the bottom by cutting. 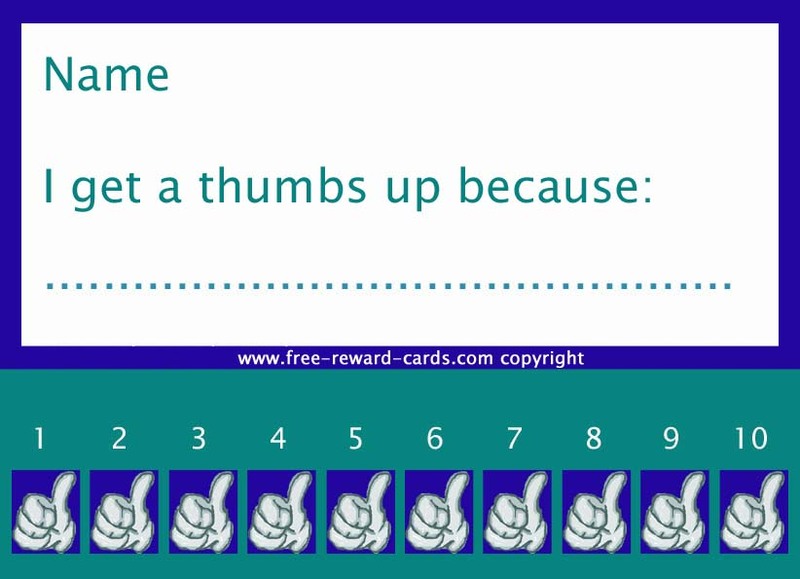 Your child can earn a thumb. All these reward charts are free printable via www.free-reward-cards.com. The cards are ment to support positive parenting and it is more fun and easy for parents and children.